St Croix promises travellers some atmospheric sightseeing, with abandoned plantations, colonial architecture and old manor houses to explore among the striking natural landscapes. 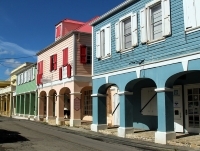 Of course, many travellers are more than satisfied with just the beautiful beaches, some glorious scuba diving and snorkelling opportunities, and the odd shopping spree in one of the two major towns of Christiansted and Frederiksted. The most popular beaches on St Croix include Sandy Point, Buck Island Cove, Isaac Bay, Rainbow Beach and Cane Bay. For those who want to explore the island more thoroughly and get a taste of the culture and history of the place, Estate Whim Museum is an impressive planter's mansion, restored to reflect its glory days in the 1700s, and is one of the main historical sights on St Croix. Rum production was another of the island's primary industries and visitors can visit the Cruzan Rum Distillery for guided tours and free tastings. Point Udall, the easternmost point of the United States (by latitude, not longitude), is a fun spot to visit, and the St George Village Botanical Garden, once a sugarcane plantation, is interesting for a stroll. The Heritage Trail is a 28 mile (45km), self-guided trip that links the main sights of interest on the island and is a good way to take it all in. 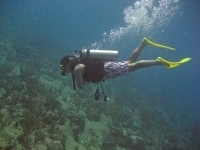 We are looking for contributors for our St Croix travel guide. If you are a local, a regular traveller to St Croix or a travel professional with time to contribute and answer occasional forum questions, please contact us.